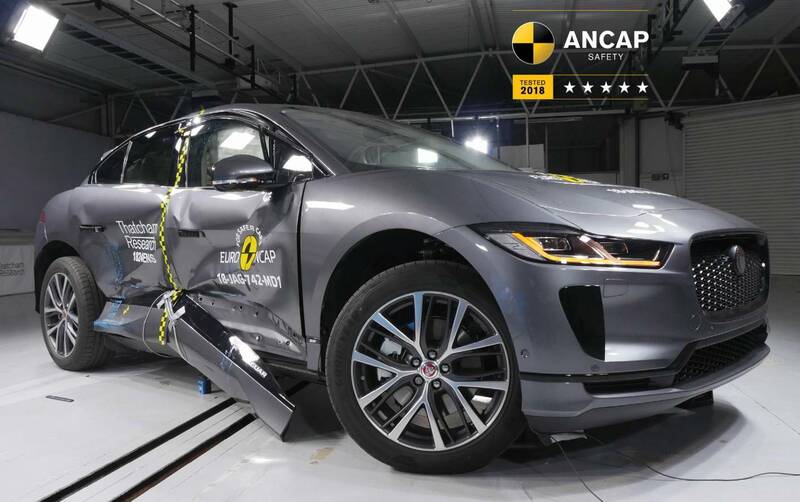 The latest round of ANCAP crash test results have been handed out, with new models receiving the full five star safety rating. These include the fully electric Jaguar I-PACE, the hot new Genesis G70, and the latest Hyundai Santa Fe and Ford Focus. Firstly, the Jaguar I-PACE. This is an interesting one as it is Jaguar’s first fully electric model. There’s also the fact that electric vehicles are still quite unestablished, with less real-world crash data around than conventional combustion engine vehicles. 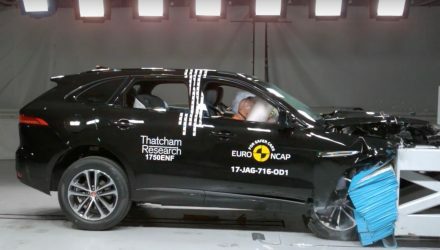 In recent tests, the I-PACE received a score of 94 per cent for adult occupant protection, 81 per cent for child occupant protection, and 73 per cent for pedestrian protection. 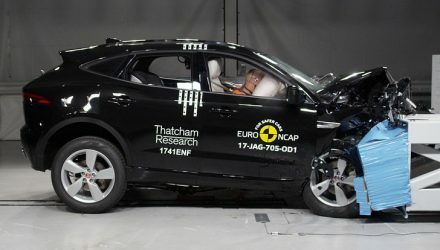 ANCAP also gave it 77 per cent for its safety assist technologies. 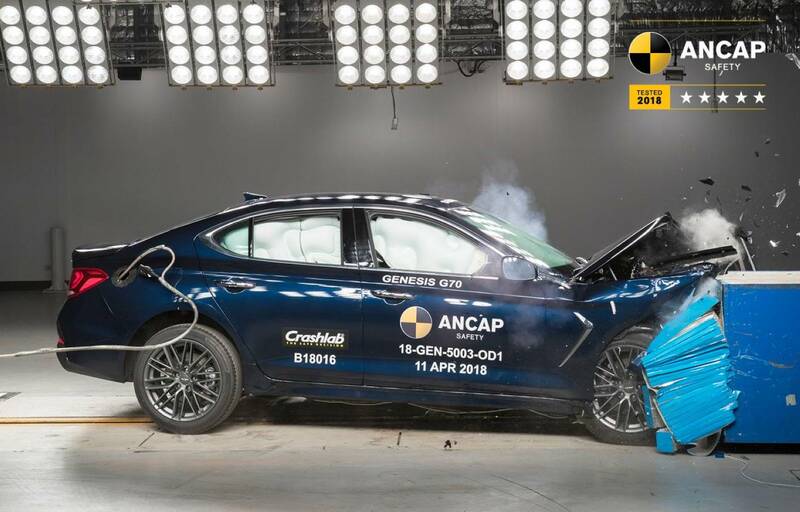 As for the Genesis G70 (that new sedan that shares platforms with the Kia Stinger), ANCAP gave it 81 per cent, 86 per cent and 69 per cent, respectively. The safety assist technologies were given 81 per cent. All models coming to Australia will come with autonomous emergency braking with pedestrian detection, as well as lane assist functions. 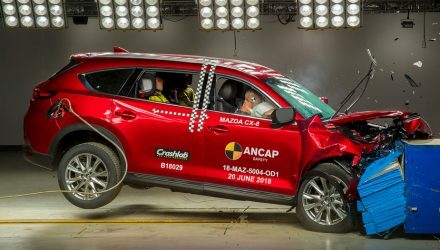 The 2019 Hyundai Santa Fe has been on sale for a while, but customers can now rest assured their vehicle is safe. ANCAP has given it 94 per cent for adult protection, 86 per cent for child protection, and 67 per cent for pedestrian protection. 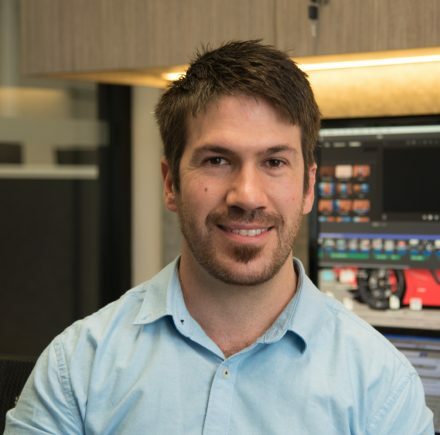 Safety assist tech is given 78 per cent. Lastly, the new Ford Focus will enter the market as a very safe proposition in the small car class. 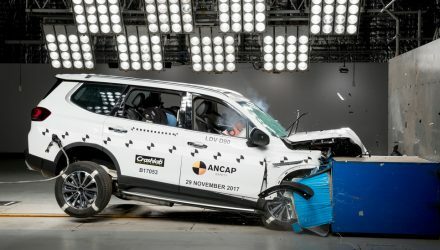 After analysing crash test data, ANCAP has given all variants 85 per cent for adult protection, 87 per cent for child, and 72 for pedestrian. Safety assist is given 72 per cent. Aside from the Santa Fe, all other models are set to arrive in Australia very soon (if not just arrived). Check out the videos below for the cool slow-mo crash testing (in order from the above-mentioned models).